The 2018 Vodafone Ghana Music Awards (VGMAs) nominees were released on Saturday 3rd March 2018 and as custom demands, artists who failed to secure a nomination in the various categories have started throwing indirect jabs with Jupitar calling the VGMA Board a bunch of hypocrites. Since the inception of Ghana Music Awards, there’s no year that controversies wouldn’t surround the award scheme and the board responsible for vetting and be nominating various artists in the year under review. This year is not anything different as the award scheme has received a backlash from Ghana’s lyrical monster, Kwame Ametepee Tsikata better known as M.Anifest. Hailed by Obrafour as one of the best Ghanaian rappers, disappointed M.Anifest took to social media specifically Twitter to voice his anger indirectly on the 2018 VGMAs selection committee for ignoring his works. He tweeted; “Oh wait… How did I miss this Hiplife Hip-Hop conversation? What did I miss”. According to Obrafour, M.Anifest’s lyrical skill is one of a kind, and it’s time Ghanaians give him the needed recognition and attention like Sarkodie. So, it’s not surprising that the Hiplife/Hip-Hop act has taken a swipe at Charterhouse for excluding him in this year’s VGMAs especially in the category of Hiplife/Hip-Hop. 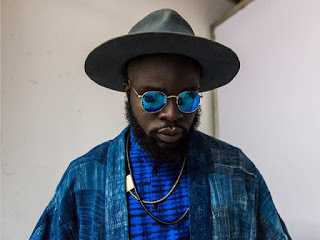 On records, M.Anifest released a couple of songs that should have helped him secure a nomination especially the “Azuma Nelson Flow” song or perhaps “Me Ne Woa” ft. King Promise.